The company’s management team, led by the chief executive, Jonah Peretti, has been working on the staff cuts over the past few months, two people with knowledge of the plans said. They asked not to be named because they were not authorized to speak on the matter. The cuts will affect the international and web content departments, including the news division, led by Ben Smith. BuzzFeed News came under scrutiny in recent days after publishing an article reporting that President Trump had instructed his former lawyer, Michael D. Cohen, to lie in his testimony to Congress. In a rare public statement, the special counsel’s office denied the report. Mr. Smith has said he stands by the article. Publishers across the web have suffered as shifting reader habits and whimsical-seeming algorithm adjustments at Facebook have cut into revenue. Vice Media reduced staff last year in a bid to reach profits, and Mic, a site aimed at younger readers, cut the majority of its staff before being sold off in a fire sale to a competitor. BuzzFeed’s board recently agreed that the company needs to start turning profits, the people said. The site has lost money for most of the years it has been in operation, not unusual for a start-up. Venture-backed companies like BuzzFeed often spend big at first in a bid to expand. But as the company closes in on a decade in business, investors want to start seeing profits. Mr. Peretti, a graduate of the M.I.T. Media Lab and a founder of HuffPost, began BuzzFeed in 2006 as an experiment and turned it into a genuine business by 2011. He amassed a large following by hitting on a formula that took advantage of the new publishing platforms on Facebook, YouTube and Twitter. BuzzFeed’s monthly readership is nothing to LOL at: 690 million, a figure that has made it the envy among digital publishers. Meanwhile, BuzzFeed has been adding new business lines, offering a cookware line at Walmart and, crucially, placing banner ads across its website. At the outset, Mr. Peretti said he didn’t want banner ads, because they significantly slowed down the site. In their place he pushed for native ads — posts that look like editorial content but are created in cooperation with marketers. 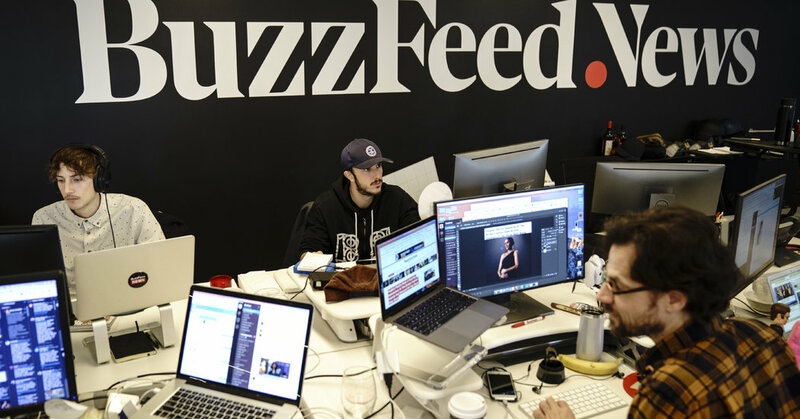 As BuzzFeed looks to cut down its staff once again, print publishers have also struggled. Gannett, the owner of USA Today and The Detroit Free Press, has cut its work force sharply over the past few years. 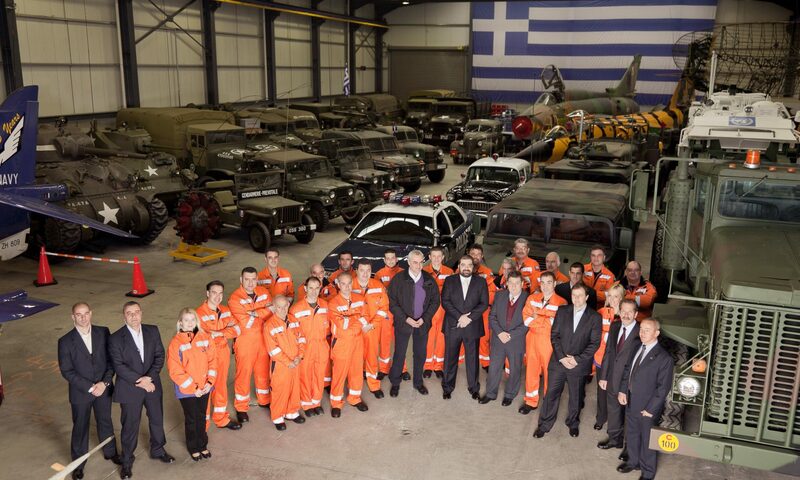 A company overview from the end of 2015 showed 19,600 employees. By the end of 2017, the figure was down to 15,300. On Wednesday, there were more cuts at Gannett newspapers across the country, including The Indianapolis Star and The Record in New Jersey. The company is slimming down in an effort to attract a buyer, and a company controlled by the New York hedge fund Alden Global Capital — which itself has made drastic cuts at newspapers in its stable, including The Denver Post — has expressed interest.